Sally Skellington the Witch. 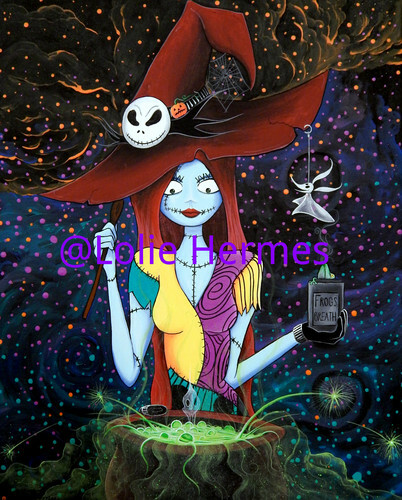 Watermarked online only, Painting I did. Medium acrylics on a 18x24 canvas. 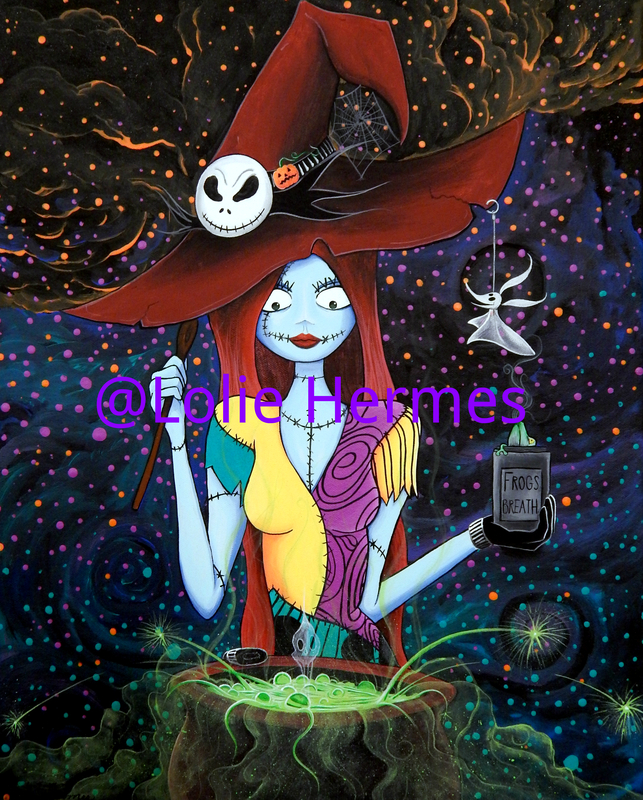 Prints are available go to etsy and تلاش up Lalapopartshop یا Lalapop Art دکان for purchase.. HD Wallpaper and background images in the Nightmare Before Christmas club tagged: photo sally skellington nightmare before christmas witch halloween. This Nightmare Before Christmas photo might contain ڈاؤن لوڈ ہونے والے, مزاحیہ کتاب, منگا, کارٹون, ہالی ووڈ, and کامک بُک.